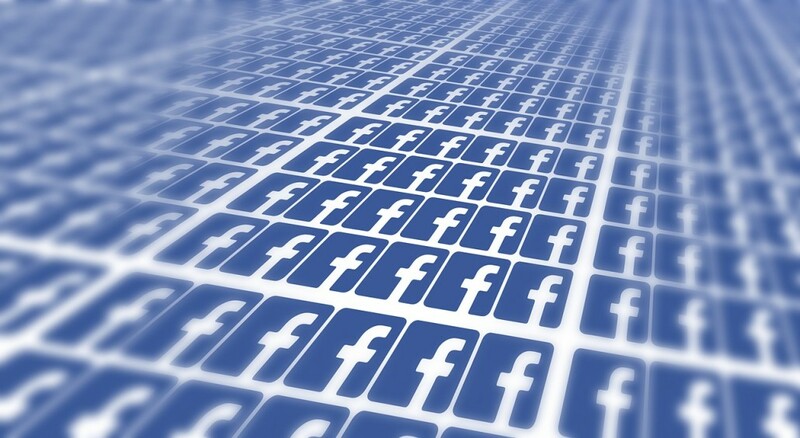 Did Your Facebook Data End Up with Cambridge Analytica? Check Now! Wondering if your data was compromised by you or your friends when they chose to use the “This Is Your Digital Life” app – the app that took data from Facebook users and then ended up with Cambridge Analytica. Facebook has now published a support page that will help you see if your personal data was shared with Cambridge Analytica. While Facebook has started notifying up to 87 million people whose data is expected to have been received and misused by Cambridge Analytica, not everyone is receiving the notification. If you haven’t seen the notification in your News Feed that doesn’t ensure your data wasn’t affected. Facebook’s help center now has a new section that lets you know whether you or a friend used the app. To check if the data scandal that pushed Mark Zuckerberg to head over to Washington in an unprecedented move affected your data, just click on the following link. 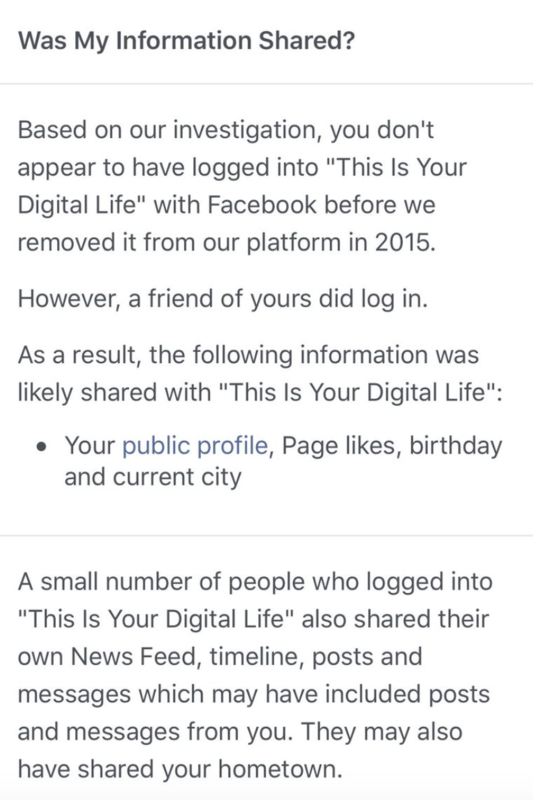 OR, an alert that says: Based on our investigation, you don’t appear to have logged into “This Is Your Digital Life” with Facebook before we removed it from our platform in 2015. However, a friend of yours did log in. If any of your friends used this app, your timeline, posts, messages that were sent to that particular friend, your hometown, and some other tidbits of data was also shared with Cambridge Analytica. Zuckerberg testified at two hearings this week giving us a total of 10 hours of answers. He wasn’t only asked questions on Cambridge Analytica data misuse but also the platform’s troubles with fake news, fake accounts, illegal pharmacies, the Russian social media interference in the 2016 US elections, its lack of privacy protections, and the hate speech on the platform. – Originally published on April 10.